Last Christmas brought a new era for fans young and old of the Christmas classic The Snowman™ with the introduction of The Snowdog. 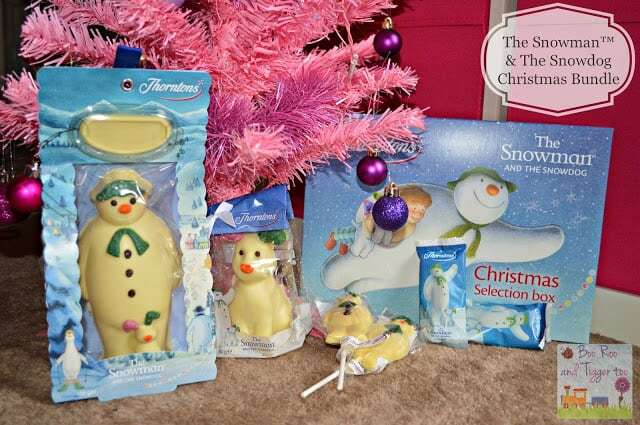 Along with the recent release of The Snowman™ & The Snowdog on DVD, Thorntons have added a fabulous The Snowman™ & The Snowdog Christmas Bundle to their Christmas range. Priced at £10.00 it makes the Christmas bundle the ideal gift for any The Snowman™ & The Snowdog fan, especially if you live away from them. Take advantage of the gift tagging service from Thorntons and leave them a special message that they will receive on delivery. 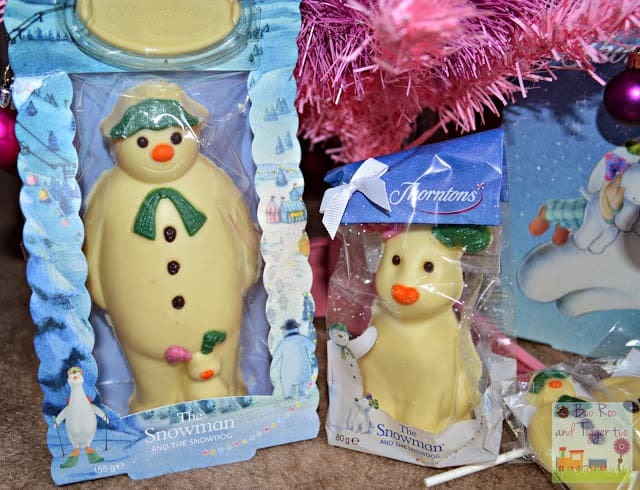 As the bundle is mainly white chocolate based it may not be preferred by all (although white chocolate is my personal favourite) so take a look at the the other chocolates online here at Thorntons. The bundle is big enough to be shared by two children, however I can anticipate a fight over who gets the snowman and who gets the dog (better still hide both and consume yourself #parenttoptop). So sit in front of the TV, relive the magic of The Snowman™ & The Snowdog and enjoy some delicious Thorntons chocolate too. Disclosure: We received The Snowman™ & The Snowdog Christmas Bundle FOC for the purpose of review.